A man accused of shooting five people to death at a Maryland newspaper office pleaded not guilty Monday to 23 criminal counts. Jarrod Ramos, 38, filed a not-guilty plea for a court appearance that was ultimately canceled. His lawyers also filed motions for a speedy trial and evidence discovery. "By doing that, that eliminates the need for an initial appearance because he now has counsel. He is represented," said Wes Adams, Anne Arundel County state's attorney. 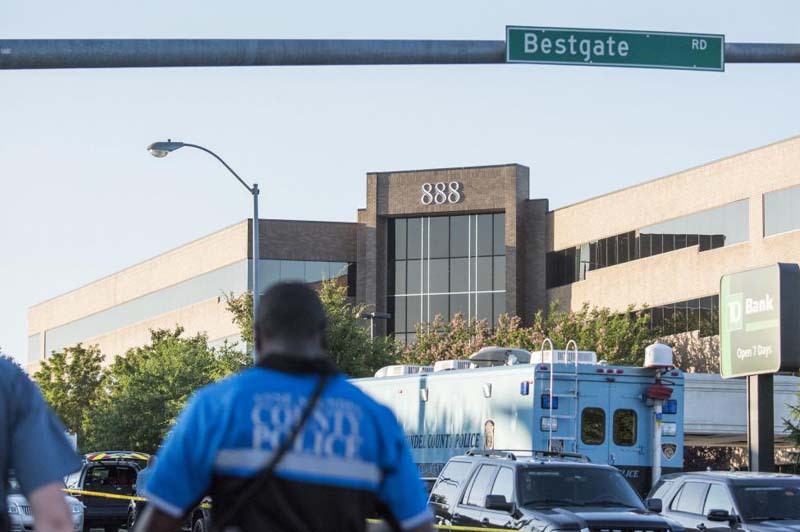 [post_ads]He faces first-degree murder, attempted murder, assault and weapons charges for the June 28 shooting at the Capital Gazette newspaper office in Annapolis. Rob Hiaasen 59, an assistant editor and columnist for the newspaper; Wendi Winters, 65, a community correspondent who headed special publications; Gerald Fischman, 61, the editorial page editor; John McNamara, 56, a longtime sports writer; and Rebecca Smith, 34, a sales assistant, died in the attack. Investigators said Ramos sent threatening letters to the newspaper office before the shooting. One said he was on his way to the newspaper to kill "every person present." The letter was dated June 28, the day of the attack. The letter was written to look like a court filing and sought a "Motion for Reconsideration" by Maryland's top court, which in 2016 refused to hear a defamation case Ramos had filed against the Gazette. Ramos' defamation suit stemmed from a 2011 article in the Gazette that detailed a harassment charge a woman had filed against him. The two were former classmates, officials said.